Seasonal May Flowers to Inspire..
May is one of our favorite seasons as it is that transitional period from the early days of Spring developing into the warm days of Summer. Here at Clare Florist we are often asked by our customers for our best recommendations for flowers for may, and what flowers are most suitable for decorating around the home. This time of the year is the best time for flowers, as so many beautiful flowers are in bloom so you have a great selection to choose from. With that in mind, we would like to recommend our favorite May flowers available in a combination of bright and colorful tones to symbolize the time of the year. After the winter and cold start to the year, dozens of popular species of flowers are now in bloom, transforming the landscape with their pleasing colors. As the saying goes "April Showers brings May Flowers!" Tulips are a classic spring time flower that can be seen filling the fields. 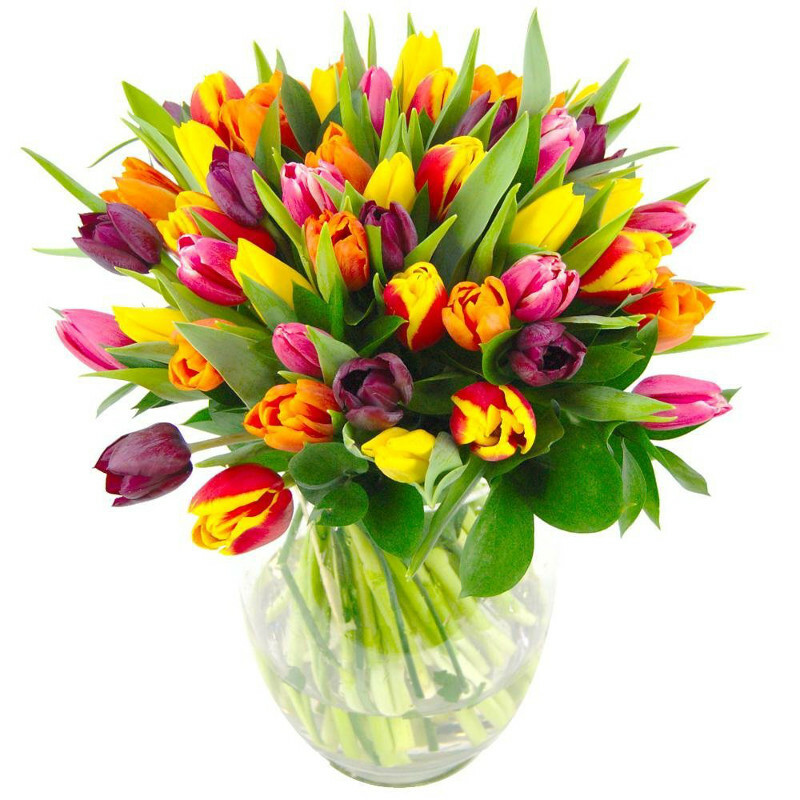 Available in a large variety of tones and heights, Tulips are a favorite both inside and out, and our popular Mixed Tulips bouquet contains a mixture of yellows, reds, oranges, purples and pinks to brighten the home. Whilst Roses are often seen as a romantic gift that doesn't mean you can't use them to decorate around your home throughout the year. Here at Clare Florist we have Roses ranging from classic romantic red tones, to more Spring and Summer inspired yellow tones. 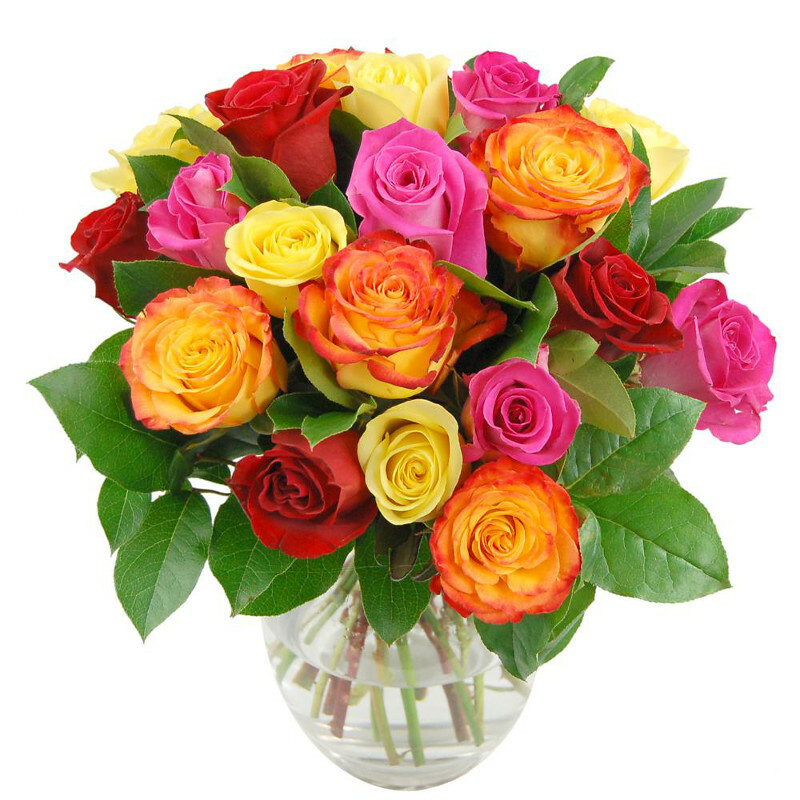 Our Rainbow Roses Bouquet contains colorful roses in yellow, pink, green and red which have been hand selected by our florists and arranged upon a green leaf backdrop. Freesias are excellent flowers that are a great addition to any room. They have an elegant design that give the flowers an eye catching look, and are renowned for their lovely fragrance. 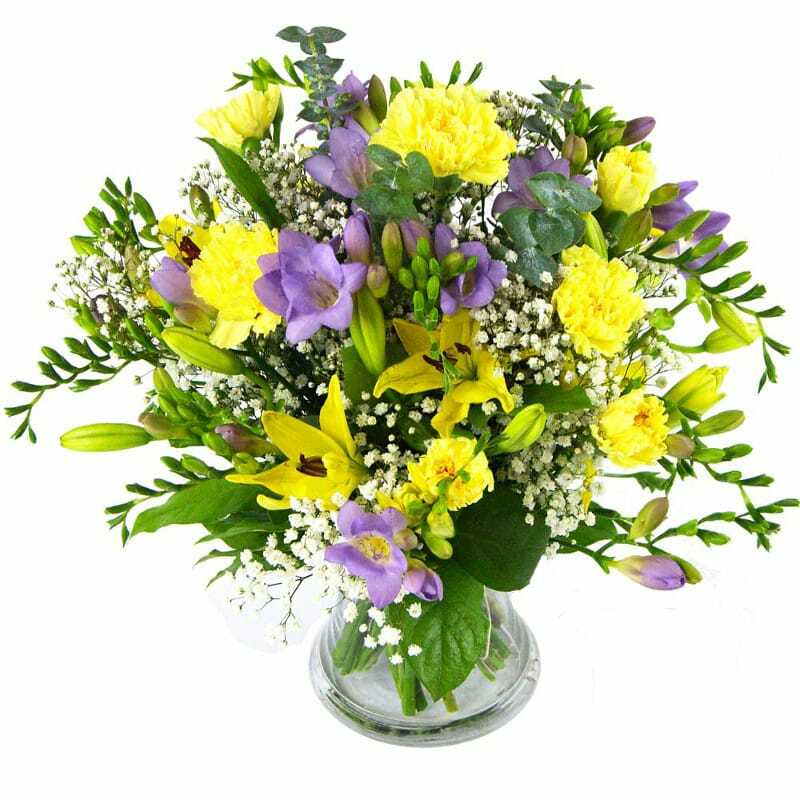 Our Freesia and Lily Bouquet is an ideal gift for that special someone in your life. Made from a stunning combination of pretty freesias mixed with carnations and lilies, this bouquet helps to capture the scent of those warm days out in the sun. This bouquet is also an ideal flower for placing around your office or home. This is only a partial list of the flowers we have available this May. Make sure to visit our Spring Flowers page to view our full range.